Ten years after becoming law, the Great Lakes Compact designed to prevent mass diversions to water-thirsty regions of the country has been successful in preventing them. That’s the assessment of Compact observer and author Peter Annin who has covered water diversions in the region for almost twenty years. “The big, bad scary diversions” the Great Lakes governors and Canadian premiers had long-worried about haven’t happened, Annin said. There has been a “guillotine” in the form of the Compact preventing those diversions and that’s a “huge victory” for the region, Annin told Great Lakes Now in a wide-ranging interview. 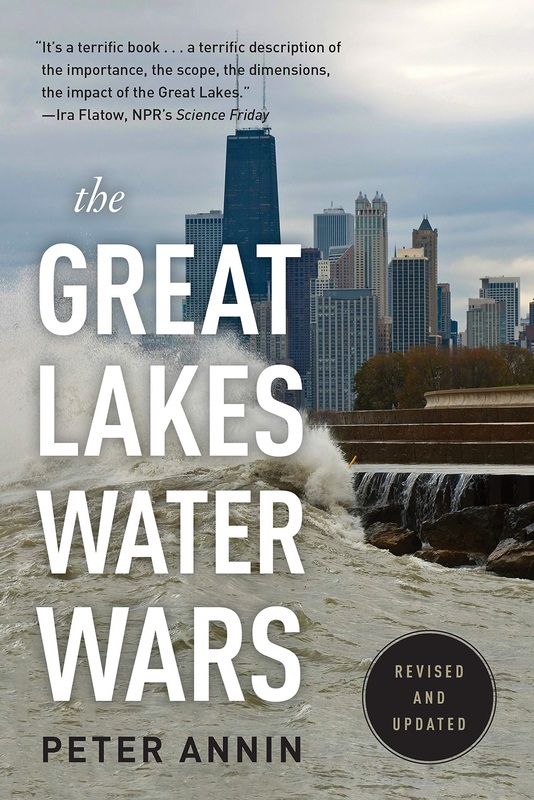 Annin just released the update to his 2006 seminal book on water diversions, “Great Lakes Water Wars”. 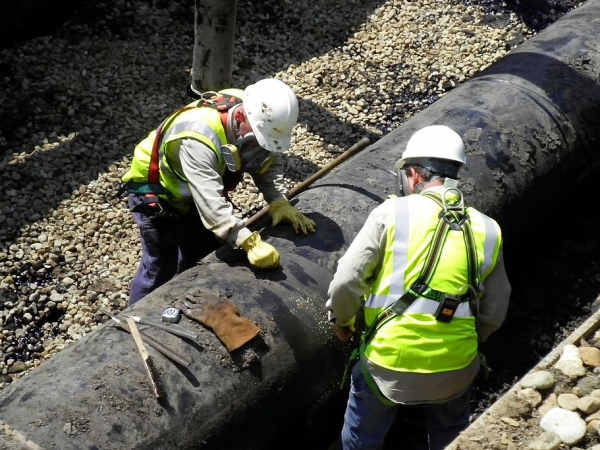 The updated version picks up before approval of the Compact in 2008, covers the hotly-debated Waukesha diversion and touches on the Foxconn diversion just approved by Wisconsin. In research for the book, Annin said he traveled to “dryland” parts of the country where they’re talking about diverting water from the Mississippi and Missouri Rivers, but not the Great Lakes. He attributes that to the shield the Compact provides. Annin was referring to the protracted fight in Wisconsin to keep the City of Waukesha from tapping Lake Michigan. 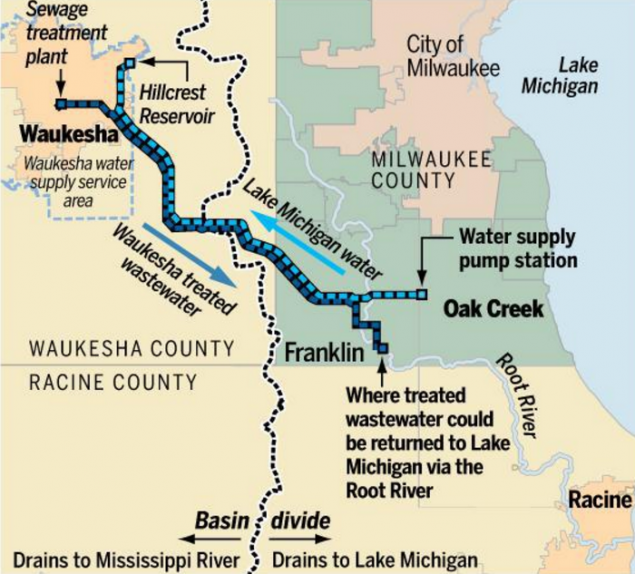 Great Lakes governors approved the diversion after Waukesha made concessions but diversion opponents were not pleased. 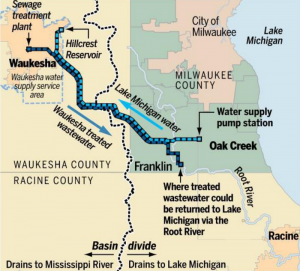 The region’s environmental groups and others advocating for the Great Lakes had put on a sustained, full court press against the Waukesha diversion but lost in the end. 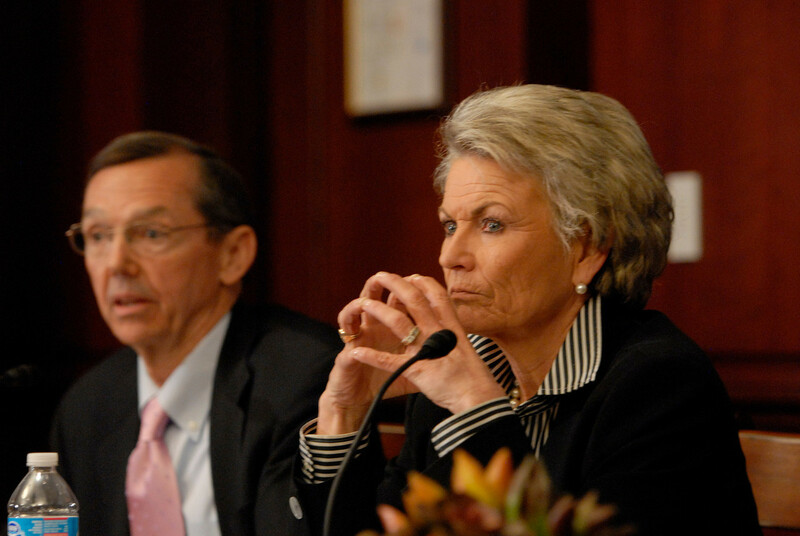 These are the groups who helped shepherd the Compact to approval in 2008 and had a lot invested only to come up short in the first test of the Compact. A group of the region’s mayors took a threat of a legal challenge to the brink before backing off. Annin said an expensive lawsuit that pitted the region’s mayors against the governors likely caused the mayors to hit the brakes. But the lull in water wars in Wisconsin was short lived as tech-giant Foxconn decided to locate a manufacturing facility in a town where it would need a diversion from Lake Michigan to support its operation. 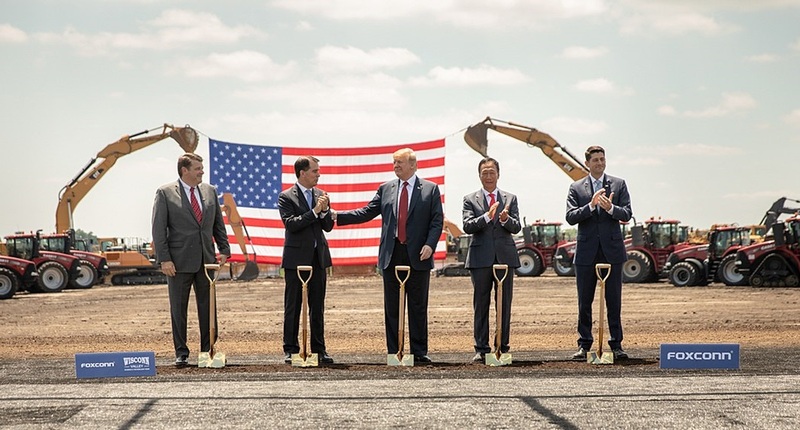 Unlike Waukesha, the Foxconn diversion only required Wisconsin’s approval which came quickly. That’s in spite of the fact that some think the state took license with the spirit, if not the letter of the agreement. The Compact requires diversions to be used primarily for residential households but most of the diverted water will go to Foxconn. The Wisconsin not-for-profit Midwest Environmental Advocates is in the early stages of mounting a legal challenge but in the broader region of advocates, there’s no anti-Foxconn campaign similar to the effort to stop the Waukesha diversion. Water Wars author Annin sees skirmishes like Waukesha and Foxconn as part of the growing pains of the Compact. It’s sorting out the kinks after initial tests. But he is quick to remind that the agreement’s primary mission is still to ban large scale diversions and it has done that. 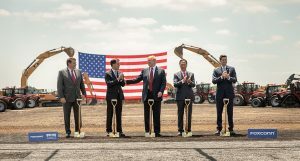 However, some see Waukesha and Foxconn as a failure of the Compact. . 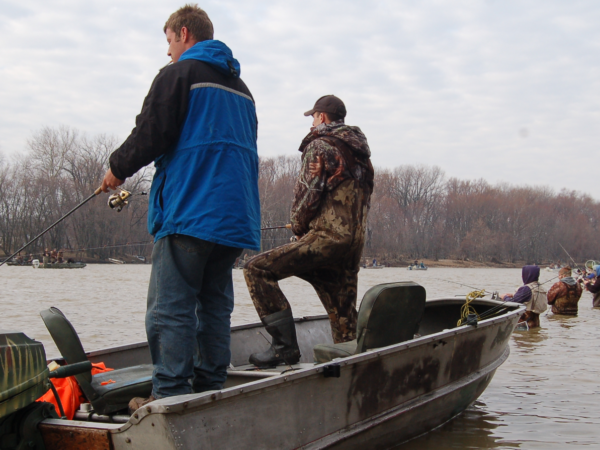 Veteran Wisconsin diversion-watcher James Rowen sees those diversions as defying the conservation intent and requirement of the agreement to support business interests. “They might as well rename the Great Lakes Compact the Foxconn and Great Lakes-Diversion-for-Development-Agreement,” Rowen recently wrote in his The Political Environment blog where he provides ongoing updates on the status of the diversion. 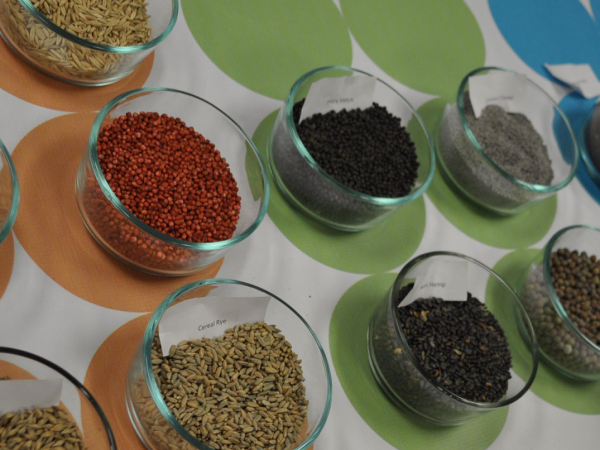 Annin told Great Lakes Now that he targeted the book to interested citizens who have a basic understanding of the Compact’s purpose but not its nuances. What’s the future of the Compact? Is that “guillotine” really impenetrable? Annin quotes water attorney Noah Hall from Wayne State University in Detroit who has been involved with it since its early development. “What concerns me is what I don’t know. What are the fights and issues that we don’t anticipate, and the loopholes and ways of manipulating Compact language that we did not even remotely foresee,” Hall says. And a western water executive still has questions about the Great Lakes. Here’s Peter Annin talking with Great Lakes Now’s Gary Wilson in Chicago on October 4th.